ESP has launched a new range of 4-channel, 1080p CCTV Kits that are packed with features, but have an affordable price tag, making them ideal entry level products to satisfy growing demand for reliable security solutions. Marketed under the Rekor brand from ESP, the 1080p CCTV kits have all the components for a High Definition CCTV system in a handy kit form – simply requiring a connection to a monitor. Easy to set up, there is the option for remote monitoring via smartphone or tablet, using ESP’s RekorHD APP. Kits include a 4-channel DVR, premium Western Digital hard drive, cameras, camera cables, system power supply, mouse and HDMI cable. The menu is user-friendly and is navigated via mouse control. You can set the system for manual, motion, or 24/7 scheduled recording, with HD recording and playback. There are HDMI and VGA outputs plus a LAN port. Various kit options are available, including 2 or 4 camera kits, with the 2MP HD cameras in either a bullet or dome style and all are offered in a white or black finish. 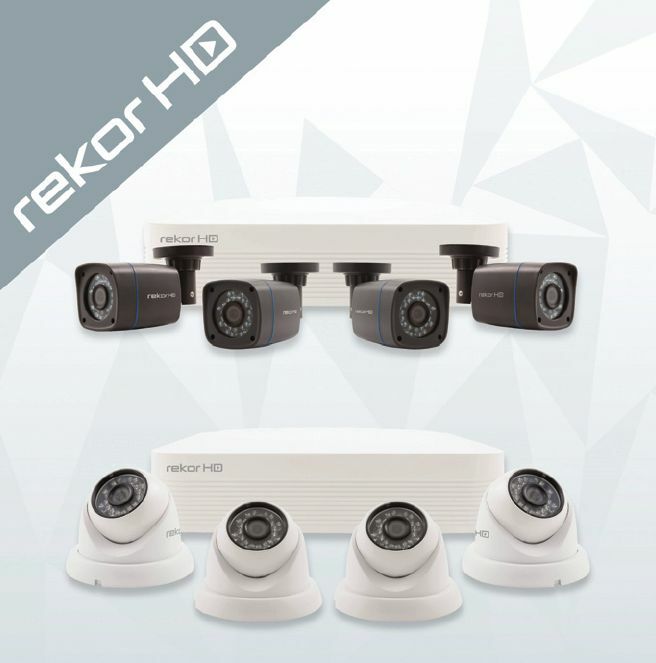 This brings a total of 8 different Rekor HD 1080p CCTV Kits available. The cameras are also sold separately.